A car dealer in Newbury is appealing against a £24,000 fine that was issued when he was found guilty of selling unroadworthy vehicles. Daniel Stokesberry, who traded as 3D Car Sales in Bone Lane, admitted to five counts of selling cars that were in an unsafe condition but he has since stated that the fine brought against him was "massively excessive". 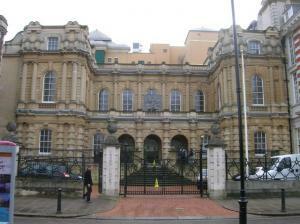 As a result, an appeal hearing will be heard at Reading Crown Court on 26 August, AM Online reported. Selling unroadworthy cars is not only illegal, but it will destroy a dealer's reputation. A road risks insurance policy is designed to enable motor traders to drive the cars they are selling and repairing to not just move them from one location to another, but also to test that they are performing as they should. However, dealers will struggle to obtain any form of motor trade insurance should they have a black mark on their criminal record. Mr Stokesberry was investigated and subsequently taken to court by local trading standards officers after complaints from customers about the condition of the cars they had just bought. The investigation uncovered that the dealer had a number of vehicles for sale that were not fit for the road, including two cars with tyres below the legal limit and two vehicles with excessive tinting. The hearing later this month will examine whether the £24,000 fine for the crimes is fair.